PORTLAND, Ore. – John Wall wasn’t ready for the league, they said. The electrifying No. 1 overall pick was challenged for having too much fun, too much flash and not enough consistency for success. While the Washington Wizards struggled early in John’s career, he dedicated himself to the game, leading the Wizards to back-to-back playoff appearances for the first time since 2006 and garnered praise as a two-time NBA All-Star. Now, John is in search of an NBA Championship without comprising his bold personality and thrilling style of play that never hides from the spotlight. 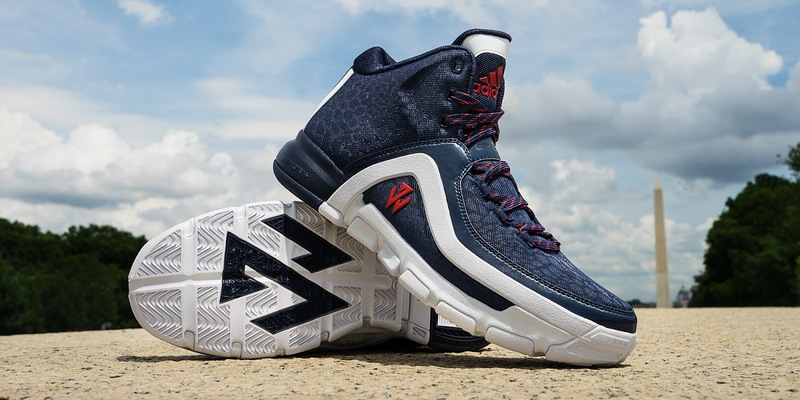 Further solidifying John’s identity as a transformative superstar in the game, adidas unveils the J Wall 2. Inspired by his highlight reel of signature 360 layups, no-look passes and smothering defense, the J Wall 2 is designed to enhance John’s elite speed on the court while reflecting his energetic, vibrant style off it. John collaborated with adidas to create a shoe that elevates his ability to penetrate the lane, create off the dribble and blow by the best basketball players in the world. The J Wall 2 is engineered with a Quickframe upper and full length adiprene+ to deliver optimum speed and cushioning for added flexibility and comfort. A deep flex groove runs along the center of the traction pattern to elevate John’s game, while the silhouette’s 3D molded topline provides increased stability. The shoe rides low to the ground for an improved first step against defenders, while Quickframe technology ensures responsiveness, lockdown and fit to propel John’s game. 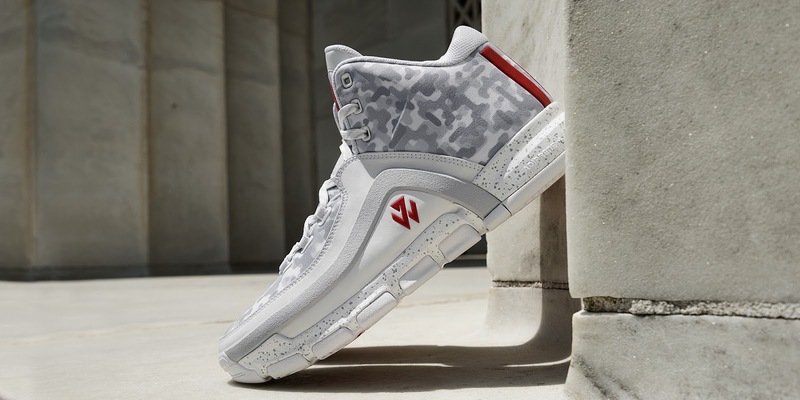 The J Wall 2 blends personal details inspired by John’s journey with colorful, bold patterns to match his electrifying play and unique fashion sense. Each colorway shows out with an array of premium materials and colors, including animal print textures and digital camo prints. The J Wall 2 (Php6,295) will launch in home (October 31) and road (November 6) colorways at select adidas retailers and adidas.com. 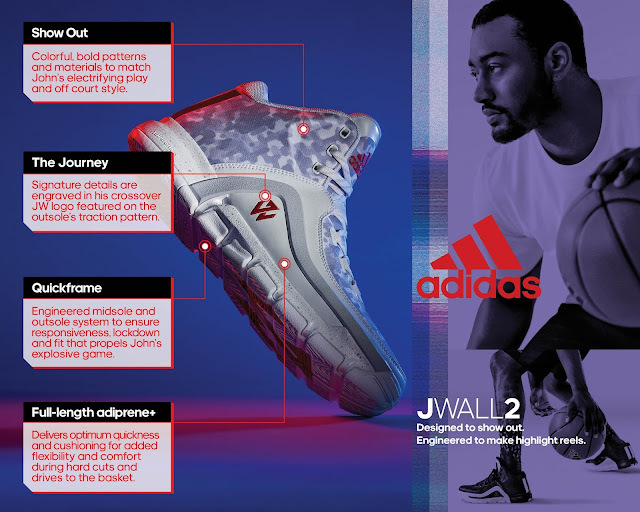 Follow the conversation @adidashoops on Twitter and Instagram with #JWall2.